The Meaning of Marriage was recommended to me and my husband by someone older and wiser than either of us. 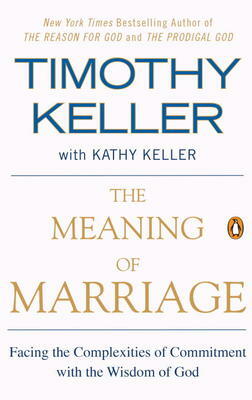 Timothy Keller endeavors to show the reader a picture of what marriage could and should be according to the Bible. I believe I will hang on to this book and the wisdom Tim Keller shares, as I grow and learn in love for my spouse. With the help of Kathy, his wife of thirty-years, Tim presents biblical arguments and foundations for a healthy marriage, comparing and contrasting his own views with the views of the popular modern culture of the Western world. The Meaning of Marriage is a powerful argument for longevity and commitment; for love and covenant; for Christ-like community in an individualistic world. "We never know whom we marry; we just think we do. Or even if we first marry the right person, just give it a while and he or she will change. For marriage, being [the enormous thing that it is] means we are not the same person after we have entered it. The primary problem is ... learning how to love and care for the stranger to whom you find yourself married." It's not the first piece I've read on the topic of how the honeymoon phase of marriage lasts a couple months to a couple years and then fades, confronting the married couple with this reality. Someone else might refer to it as "transferring from in love, to love". Each section in "Loving the Stranger" from The Meaning of Marriage unpacked these topics and gave a lot of insight and things to think about in the grand scheme of marriage--in the "for worse" of life, and in the moments when the flaws of your spouse seem to outweigh everything else. Keller puts it this way: "When you got married you saw the gold in your spouse, but as time goes on you see all the impurities" (p.158). The chapter "Loving the Stranger" leads the reader beyond that, and ends with "The Power of Grace--Reconciling" and "The Ultimate Power". Keller talks about grace, forgiveness, and the ultimate forgiveness in Christ as the most foundational, crucial power in the context of marriage. "I don't know of anything more necessary in marriage than the ability to forgive fully, freely, unpunishingly, from the heart" (p.188). I don't trust my faulty human mind to remember everything that I need to from this book, so The Meaning of Marriage is one I will be keeping on my shelf at home for a long time to come. For more information on The Meaning of Marriage, by Timothy Keller, visit our website here. I've always had an odd sort of fascination with masquerade masks. I judged this book by its cover, snatched it up, and delighted in the concept. The masks are used to signify an individual who has a level of control over a certain colour, and each colour is used to manipulate different parts of the world around them. It's called Color Power and it leaves a divide so strong between two schools of thought--the Keepers and the Igniters--that a silent war breaks out. Each side blaming the other for the mysterious Stone Plague destroying England's people and beyond, this war is carried out in dark alleys behind masks, with hidden knives. The Igniter king of England, King James, calls for the death of the Keepers--that they should hang by the neck until dead. Thomas Fawkes is a young man on the cusp of coming-of-age to receive his mask--if he can pass his Color Test at St. Peter's Color School, and if his father shows up to give him his mask. Unbeknownst to his teachers and most of his classmates, Thomas is a Keeper. What follows is a story of intense betrayal, blackmail, murder plots, value and worth, and the thin line between what is convincing and what is right. Fawkes is more than a coming-of-age story. Nadine Brandes asks questions of race, wealth, and politics as she unravels the building war between Keepers and Igniters. She weaves in pieces of history with the story of Guy Fawkes in 17th century London. The first time Thomas Fawkes meets his father, Guy Fawkes, he's plunged into a plot to kill the Igniter king. The plan: to use 36 barrels of gunpowder to blow up Parliament. There's a Romeo-Juliet type twist to this story, not to mention a great deal of mystery, suspense, romance, and conviction. The characters are diverse and engaging, and the prose should appeal to teens, especially ages 14-18. Another exciting YA book for the shelves--join Thomas Fawkes in the plot to kill the Igniter King. 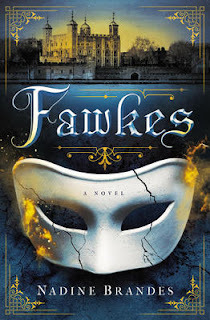 For more information on Fawkes by Nadine Brandes, visit our website here. This book is a treasure. I am one of those people who only dreams about traveling to the Holy Land, walking the streets Jesus walked and seeing the setting of His ministry years. While my opportunity to hop a plane and find myself knee-deep in Biblical history has not yet arrived, this book both satisfied and renewed my longing for Israel. Buck Storm makes you feel as though you're right alongside him in the dust, crowds, and sacred spaces. This book is a perfect picture of the human experience, combining the humour of differing languages and foods, the lure of history, the romance of the Gospel, the heartbreak of sin. While he walks readers through some popular locations, such as Gethsemane, the pages of this book are also filled with less-traveled sites, where tourists, tickets, and lines are non-existent. He acknowledges the realities of the tourism industry and is successful in going beyond it to show his readers the true Israel. This book is filled to the brim with larger than life people, personal faith moments, "coincidences," and insights. Storm even touches on several points not often discussed, such as the false, stereotyped view North America has of the Middle East, and the tendency of Western pilgrims to make an idol of the Holy Land and the search for spiritual experiences. I loved this book for two reasons; the first, his descriptions drew me in so strongly I felt I was walking through Israel with him, with all the sights, sounds, scents and heat involved. Second, Storm links locations and Biblical passages in ways I had never seen before. For example, I had never known that when Jesus told His disciples the gates of Hell would not prevail against His church, He was standing near a place known as the "gate of hell," surrounded by pagan Roman idols. It is in the details like this, precious and little known, that the landscape of Israel expands our view of scripture. 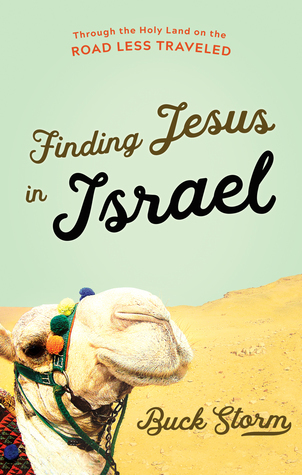 In this way, Finding Jesus in Israel is like taking your own journey to the Holy Land, from the comfort of your own home. I was planning on reading just one chapter, to see what this new book was all about, but I found myself unable to put it down. I will be returning to it again and again, especially when I finally get the chance to travel to Israel. If you have even a mild case of wanderlust, this book is for you. 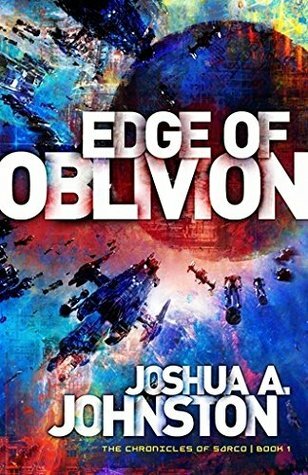 As a lover of science, I find it easy to lose time reading a good science fiction novel and Edge of Oblivion by Joshua Johnston definitely makes that list. Not only is the story line engaging but, with a good basis in the Christian worldview, Johnston has created a world that is so well established within itself you can’t help but believe it could be real. He includes alien races that each have their own distinctive culture and history and yet also have their own messianic figure that taught a very similar message and were persecuted to the same degree. With Earth’s history lost in what is known as the Dark Ages, the “Christ” figure spoken of is Sarco, who came to the Aecrons (EYE-a-cron-s), one of the 5 races that make up the Confederacy, 5 or 6 thousand years before our story begins. As the Confederacy is rocked by the destruction wrought by an unknown enemy that seems unstoppable, Naval Commander Jared Carter and his crew are sent on what appears to be a wild goose chase across the galaxy to investigate the fragments of an ancient parchment they hope may hold the key to stopping the greatest evil any of them have ever known. One of the things I appreciated most was the way Johnston works with the idea of faith. Jared describes himself as ‘not a theist’, but throughout the duration of the story he is both accepting of the faith of others and open to learning from them. Another is the realistic nature of the faith of the Sarconians, those that choose to follow Sarco. While good and evil are apparent, and the Sarconians are very reminiscent of the early church, there is no ‘holier than thou’ vibe. I can see this aspect appealing to newer believers, teenagers, and those who want to read fiction without feeling preached at. For more information on Edge of Oblivion by Joshua Johnston, visit our website here.